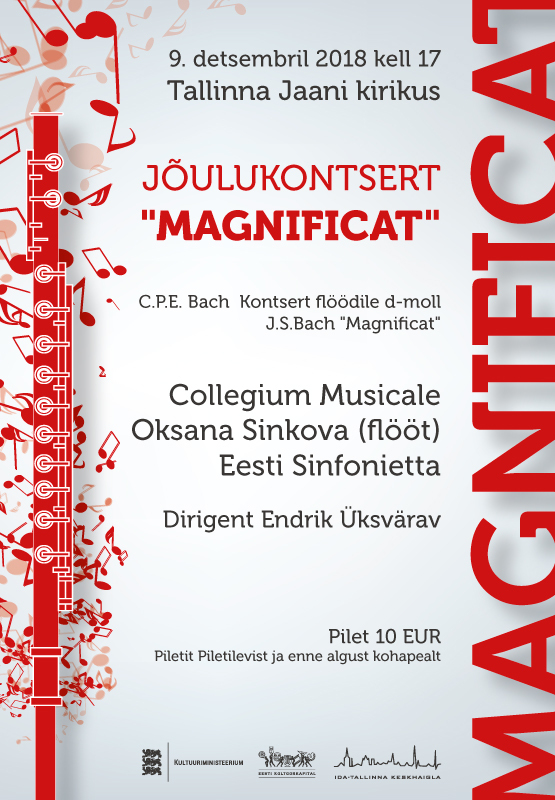 9 December Christmas concert "Magnificat"
On the 9th of December at 17 our Christmas concert “Magnificat” will take place in St John’s church in Tallinn. Also, orchestra Estonian Sinfonietta and soloists are involved. Concert will be conducted by Endrik Üksvärav. Tickets 10 EUR from Piletilevi (www.piletilevi.ee) and before the concert in the church.